The memories from childhood come rushing back to me when I think of Knott’s Berry Farm. From my dad taking us there to dine at Mrs. Knott’s Chicken Dinner Restaurant or going to Knott's with classmates on a school field trip. I have lots of good memories from this So Cal icon. I have my own family now and have started the tradition of going to Knott’s on a yearly basis. 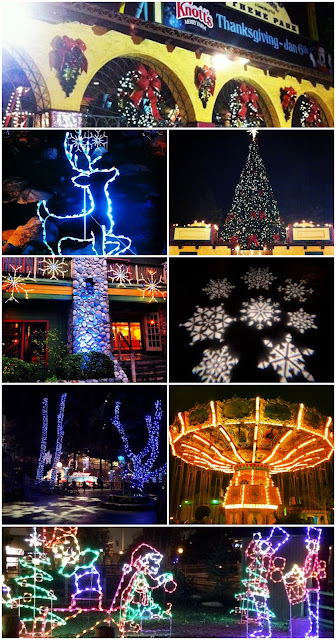 Whether it’s during summer vacation, at Halloween during Camp Spooky, getting into the holiday spirit during Knott's Merry Farm, or ringing in the New Year together. We know that we can count on a day filled with lots of fun and laughter. My husband and I want to give our children have as many fun experiences as possible, as they are growing up far too fast. We are happy that visiting Knott’s Berry Farm is one of them. Plus being able to celebrate the holidays with each other inside a 'Winter Wonderland' is what the true spirit of the season is all about for us. Living in the moment, and making memories that will last a lifetime. 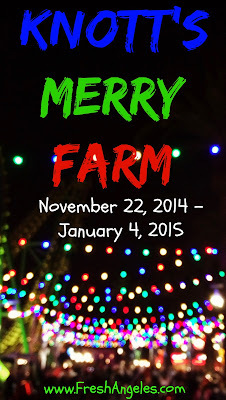 If you’re looking for a great way to kick-off the holidays, spending a day at Knott’s Merry Farm is a great choice. A Southern California Holiday Tradition since 1985, (who knew?) this seasonal event celebrates the Christmas season in all of it's glory from November 22 through January 4, 2015. This special holiday event includes park-wide delightful decorations, live entertainment, festive food, and a shopping wonderland filled with local artisans. If you are looking for gift ideas even after you go shopping at the park, maybe getting your loved ones a Season Pass to enjoy the park all year long is the way to go! More quality time with family seems like the perfect gift to me! What's your favorite part of Knott's Merry Farm? Disclosure: I was not paid for this post. 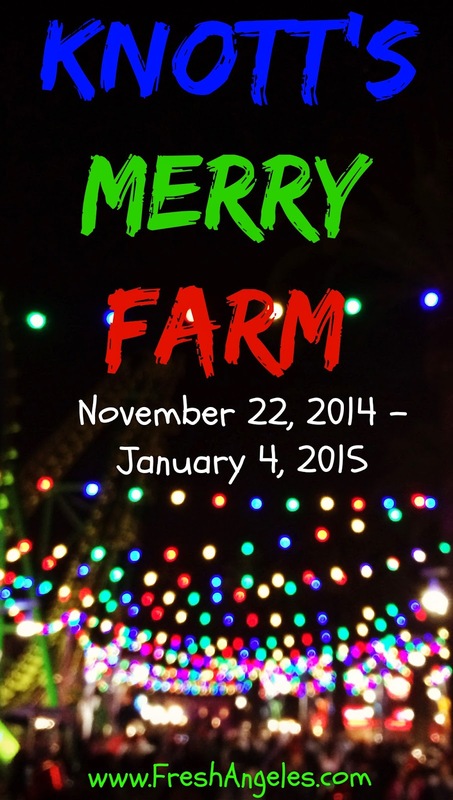 I will be attending Knott's Merry Farm as media, tickets will be given to me and my family. The opinions on this blog are 100% mine and 100% fresh!